One of my new favorite hair styles for wearing my natural hair is flexi rod sets. 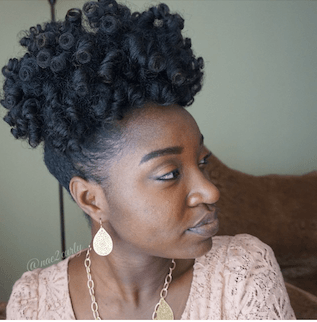 I’ve found this style to give me curls that last for up to 10 days– no lie! 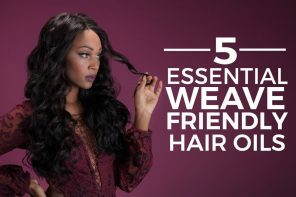 This is one of the best techniques to curl your hair without applying heat. 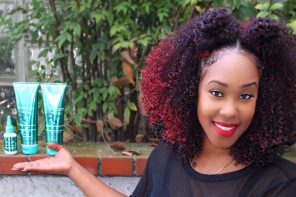 Check out this tutorial created by Hair Blogger, Janae Mason, (@Nae2Curly on Instagram) using Carol’s Daughter Products. 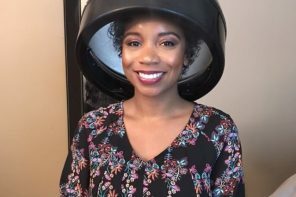 In this video, Jenae shows us how to flexi rod hair that has already been flat ironed or straightened. 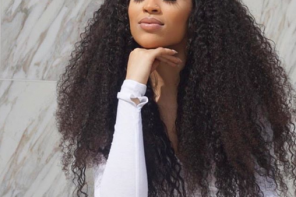 Jenae shows the process of setting flat ironed or straightened hair with flexi rods and then the results after fluffing them out. As I mentioned before these curls can last for a whole week! 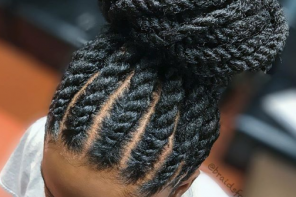 However, if your curls are getting flat or don’t have the definition you like, then you can opt for a high puff, as shown by Jenae. You can do this with a head band and tie it around your curls to scrunch up the hair as shown below. 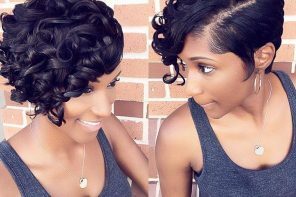 Another great style you can wear with flexi rod curls or perm rod curls is a high puff. 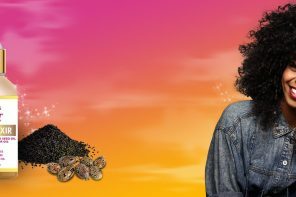 As you can see from the end result, her curls are light and fluffy and have tons of volume. 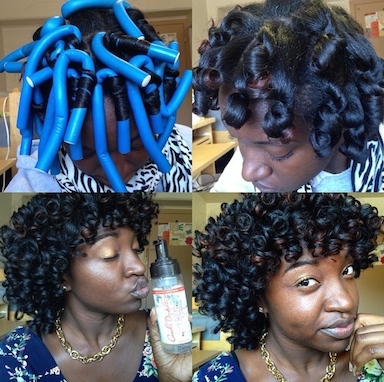 Naturalista, @Callherdini (Dinquinesh) does also achieves amazing flexi rod sets, on blown out hair. Here’s her routine in this video. 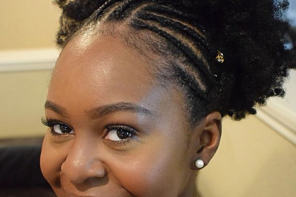 Picture tutorial of how Dini sets her hair with the rods and then finger combs out the curls. 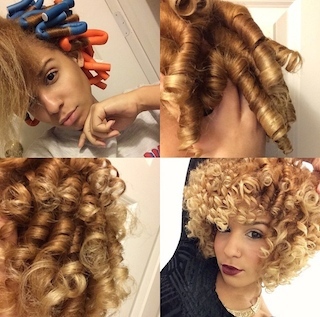 Dini shows us the results of her flexi rods! 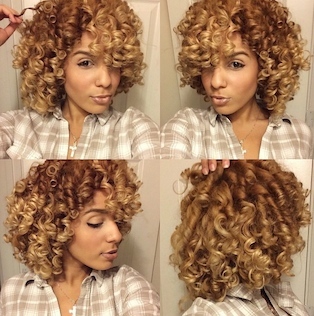 Gorgeous curls for days. 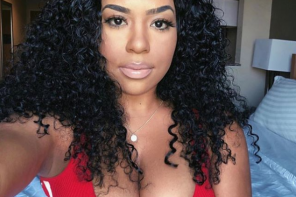 The great thing about a flexi rod set is that you can get great results with both stretched hair AND wet hair. 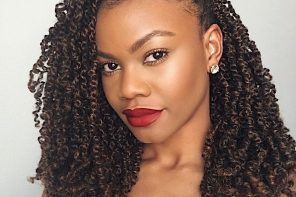 However, if you want your curls to hang longer, you may want to stretch your hair first. 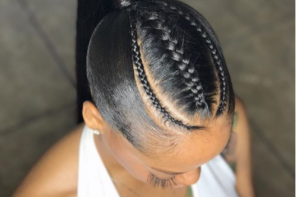 So now you see while I love this style. Try it and let me know what you think! 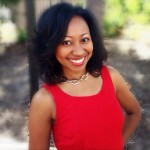 Previous articleBig Hair is In, Get The Look with Perm Rods! Next articleHair Color Trends: Pixelated Hair- YAY or NAY?